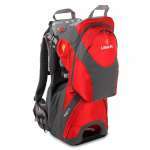 The LittleLife convertible child carrier is a lightweight rucksack that is great for day trips and family holidays. 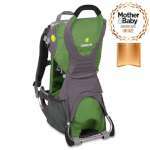 The LittleLife's lightweight, compact design and adjustable straps mean that it is easy for both Mums and Dads to use. The adjustable seat and padding also make it a soft, comfortable ride for the baby. "Its so small and compact" is a comment we have heard from many of our friends! We were given this LittleLife child carrier when we had our first child and it has been wonderful! As new parents we quickly discovered how a baby changes your life, but we also wanted her to share in our interests and passions. My husband and I are both active people who enjoy the outdoors, and we wanted to take our daughter with us on these trips. 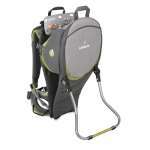 The LittleLife child carrier has a number of features that make it ideal for this. 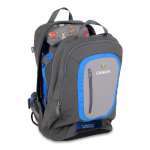 First, there are adjustable, padded straps that make it very comfortable to wear. I really appreciated this on any of our longer walks! The strong grab handles at the top also made it easy to transfer it between my husband and I. 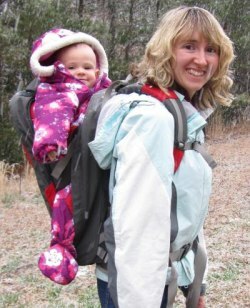 Second, it has a very soft, padded protection pad for the baby, which makes it really comfortable for her even when we are walking on more rugged terrain. She fell asleep in it several times! The adjustable seat height has also allowed us to use this child carrier from when she was a 6 month old baby to a toddler. The strong, durable material of LittleLife has meant that this is the only child carrier we have needed for her! Third, the pocket is great for storing all of those baby essentials, such as nappies, wipes, snacks and change of clothes. I have also found that the carrier has a lot of uses in the home too. "Necessity is the mother of invention", and as a Mum I quickly found I had to be creative in coming up with new ways to multi-task and entertain my daughter. When I need to do some housework, I can put in her in the LittleLife child carrier and she plays with my hair or with a toy I clipped to the handle. I had no trouble doing the washing up or the hoovering. The baby was quite happy in the child carrier! 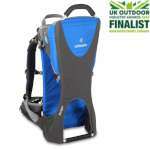 I would definitely recommend this LittleLife child carrier to any parent. 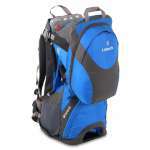 It is much lighter and more compact than other backpack carriers I have seen. This was a really important feature for me as I'm a relatively small person and I wanted the child carrier to be as light as possible. 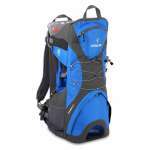 We also wanted it to be compact so that we could easily take it on trips and holidays. The strong, durable material and adjustable design have also meant that even after frequent use this LittleLife child carrier is still in great condition so we can use it for the next child too!